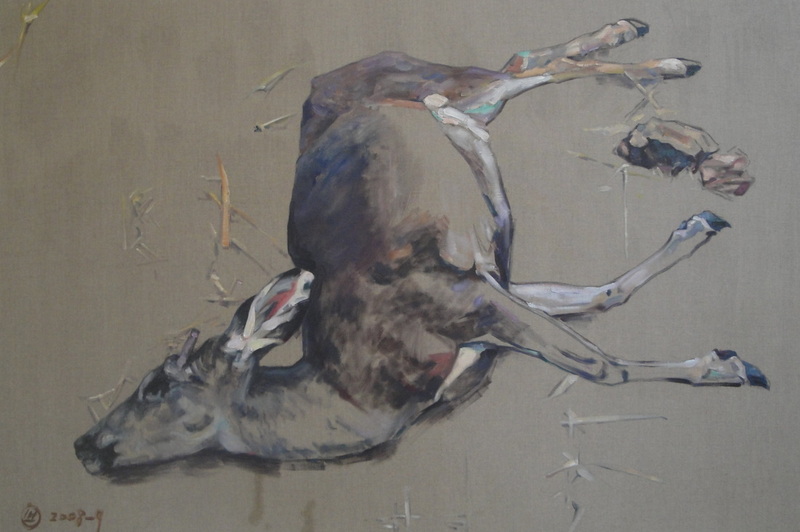 “Drawing from Life and Death” depicts subjects that are dead – a bird, several deer, a human cadaver – but which have been studied, photographed, and rendered from life. 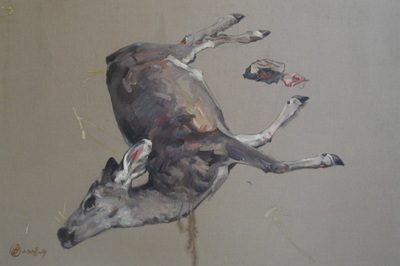 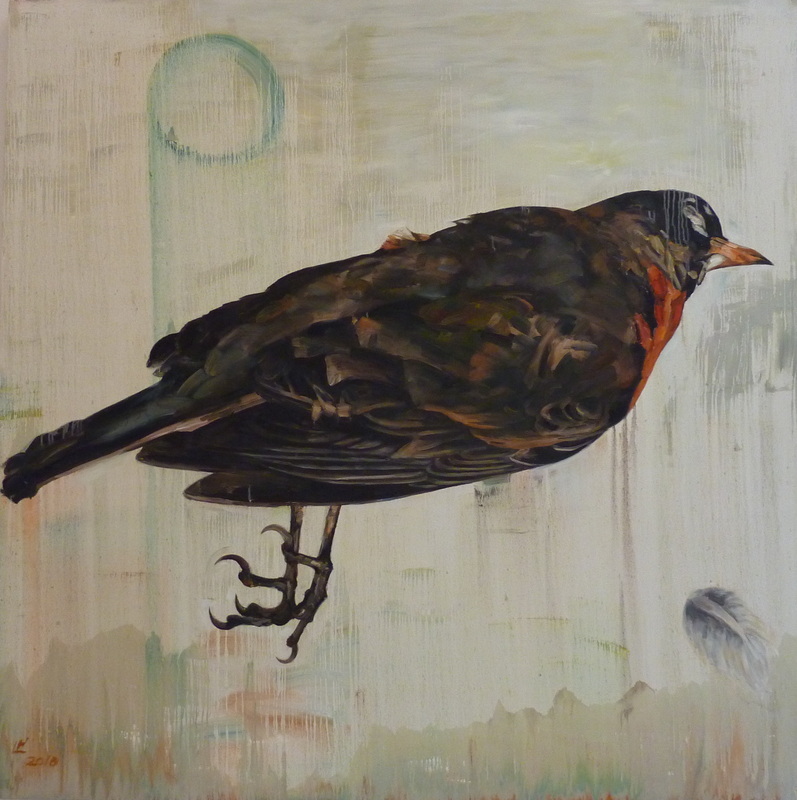 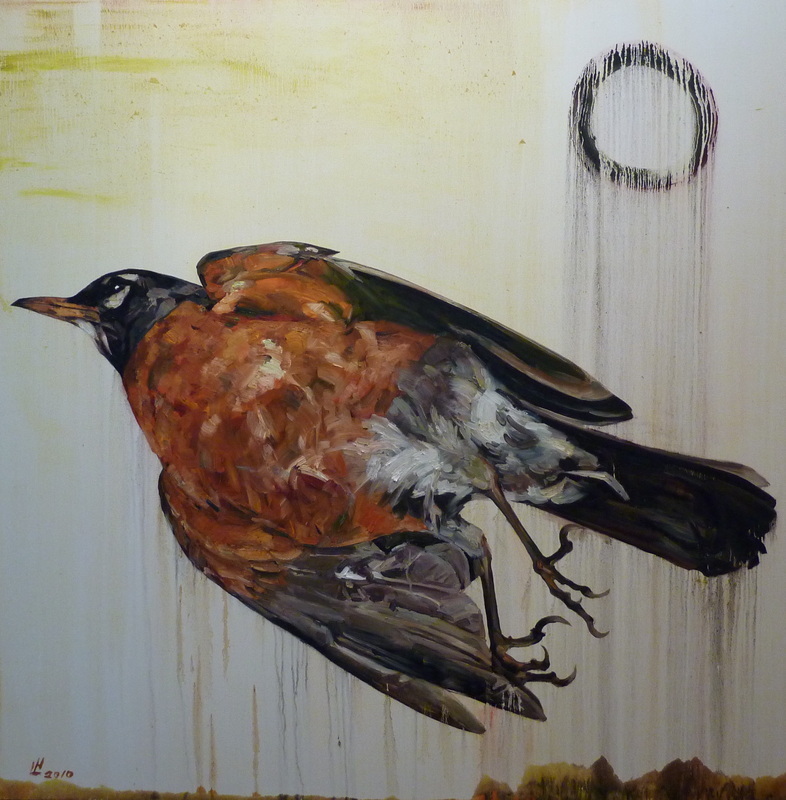 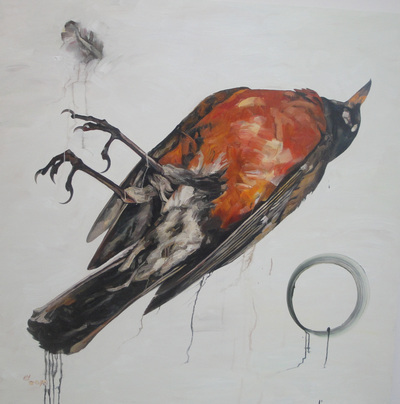 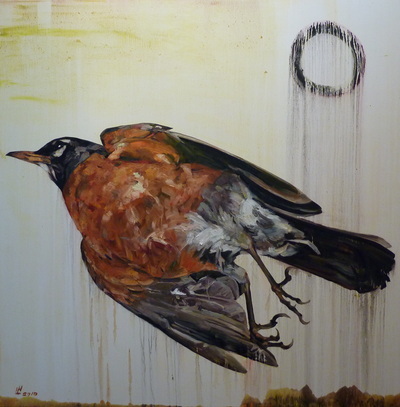 Encountered by the artist in the context of daily living – she came upon two dead deer while hiking near her Oakland home, a red-breasted robin fell from the sky into her studio parking lot, and she was invited on several occasions to view cadavers at a local medical facility – these subjects allow us to re-imagine the canvas as a middle ground between life and death, a surface upon which the contemplative activity of painting touches, and perhaps awakens, the forms of ultimate stillness. 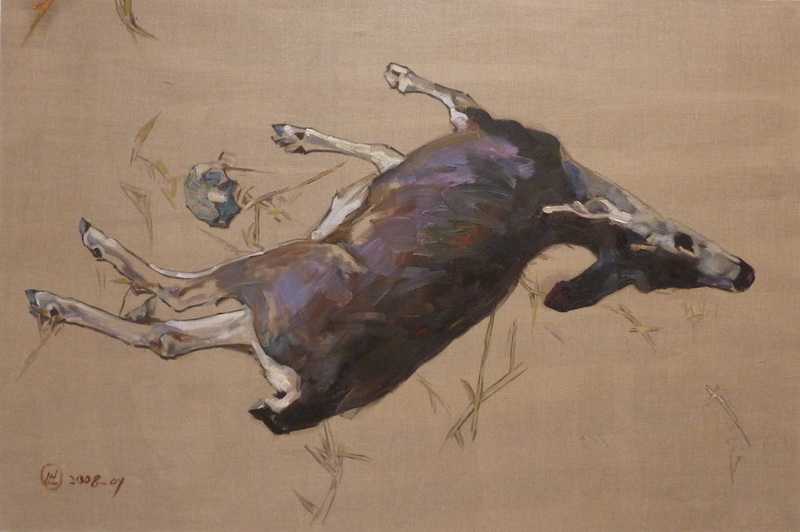 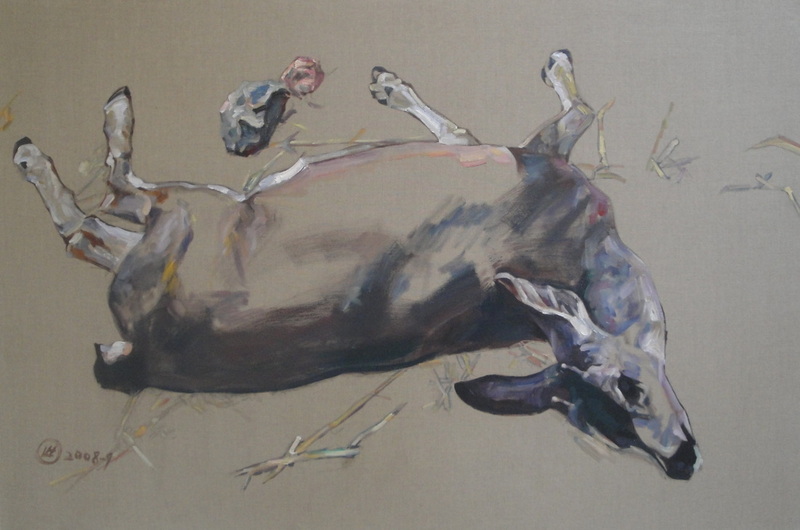 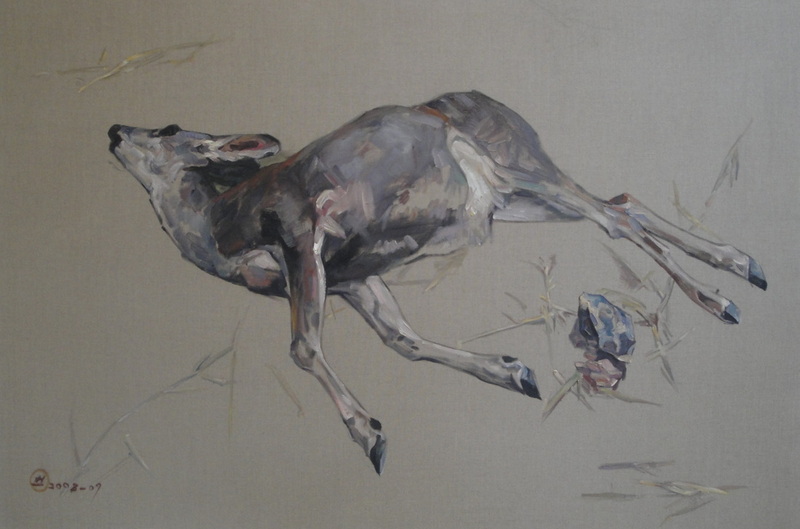 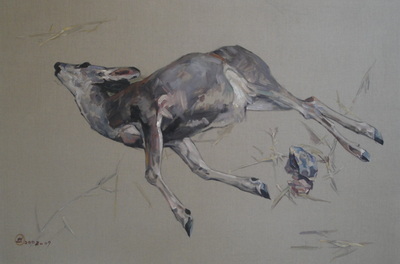 A departure from her habit of painting from historical photographs, these studio sittings with the dead nonetheless continue Liu’s life-long interest in reclaiming ghosts from the past, be they images of prostitutes, soldiers, refugees, or – closer to home – the body of a still-warm fawn laying by the road. 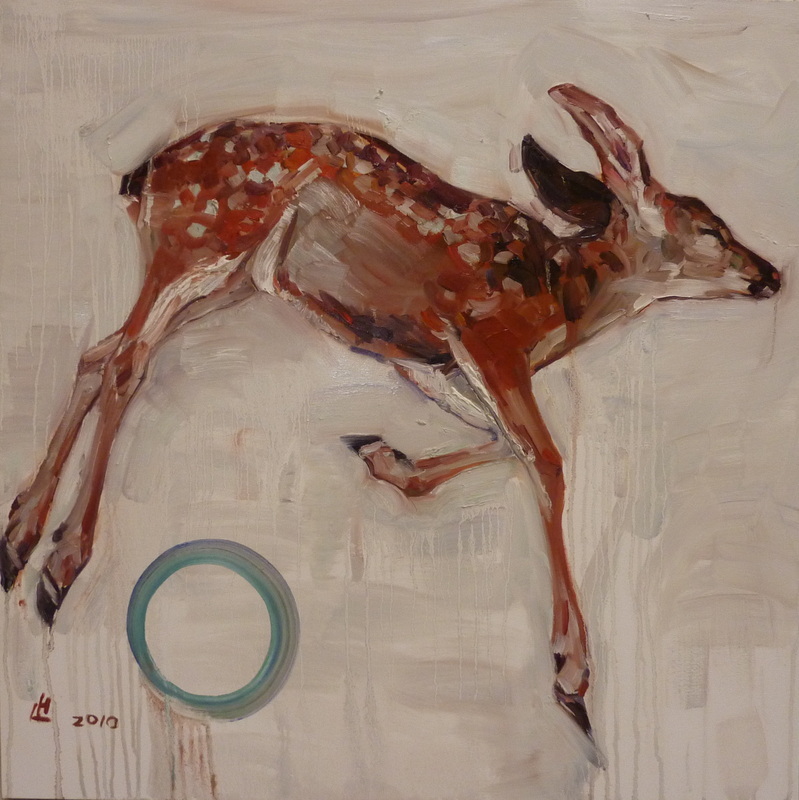 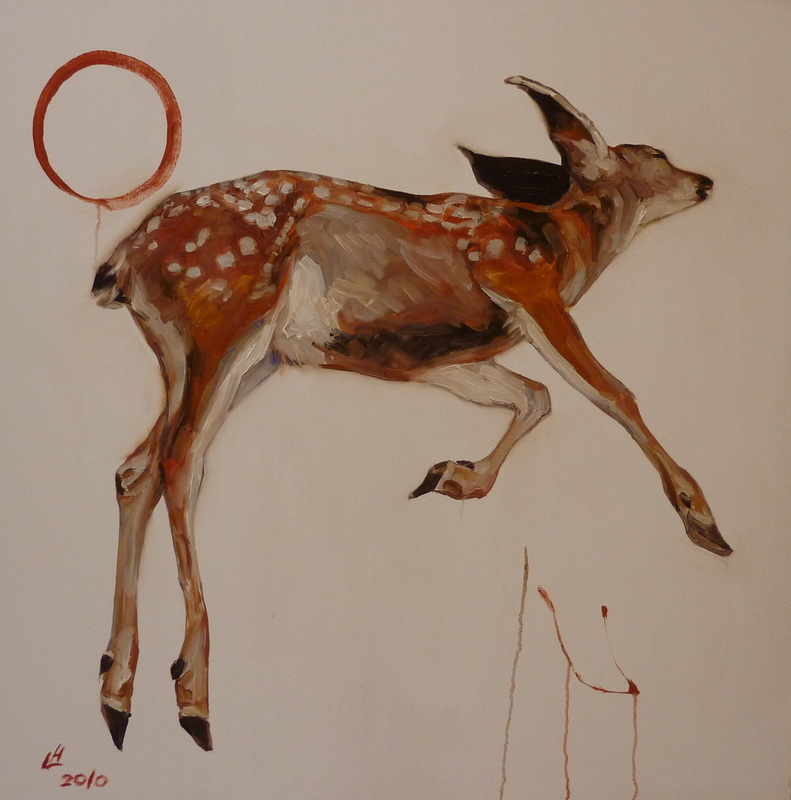 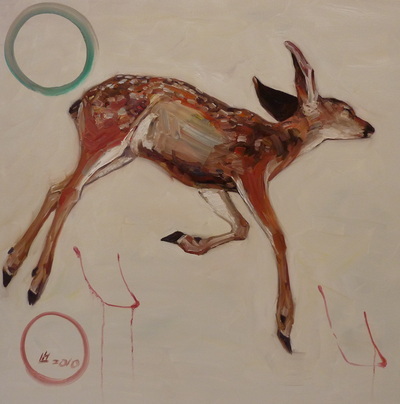 Taking it to the studio in her car, she photographed the fawn gently before turning it over to the city of Oakland, getting on a plane at SFO, and flying that day to China – crossing the international dateline, a day that is not a day, but a passage between one life and another. 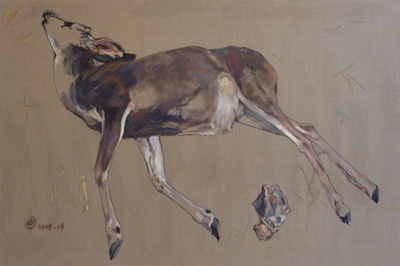 Like a still life, the paradox is that this passage is forever fixed in time. 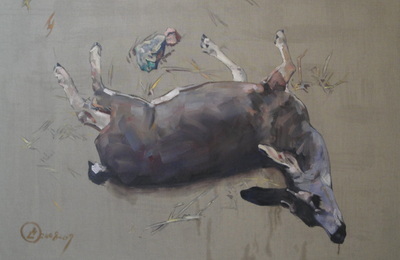 In these paintings, Hung Liu has drawn the dead from life, and, perhaps, drawn life from the dead.